The Wellsville-Middletown R-1 High School Junior-Senior Prom will be Saturday, April 6. Prom festivities will begin at 5:00 PM in the high school gymnasium with Promenade and crowning of the Prom King and Queen. Following Promenade, the students will be bused to the Star Theatre in Hannibal for the dinner and dance from 7-10 PM. The theme for this year's prom is Masquerade. 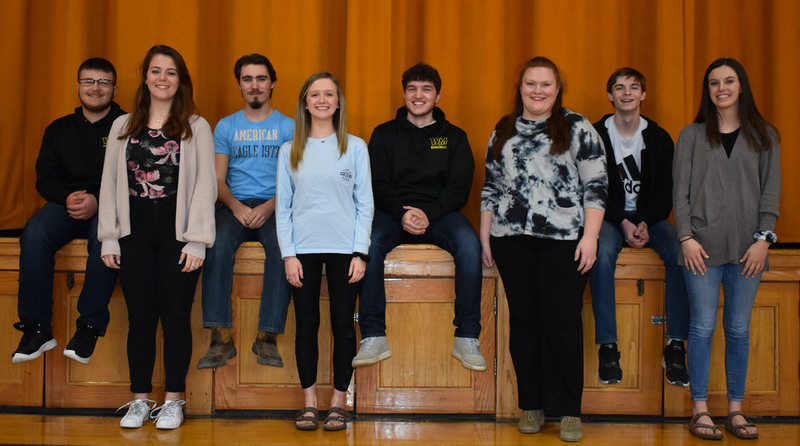 Candidates for the king and queen are the following (left to right): Braden Stroup and Letizia Ancona (juniors); Hayden Calton and Chloe Stevenson (seniors); Isaac Ussery and Kaitlynn Rose (seniors); Dennis Hunt and Gracie Copeland (juniors).